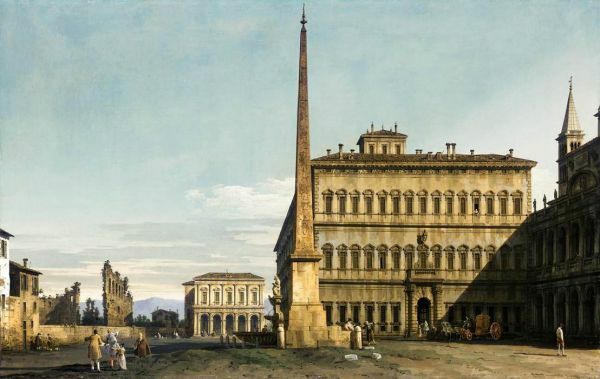 Painters of many nations have been enchanted by the Eternal City, and have tried to capture on canvas some of the grandeur, the glory and the significance of the place. Over the centuries, different viewpoints have focused on the splendor of the symbols, or on what the lessons that might be learned from contemplating what was lost. 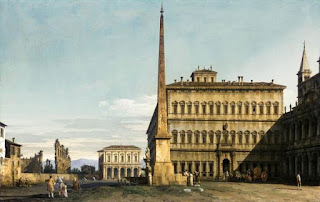 With the exception of Ippolito Caffi, most of the fine art renderings of Rome done after 1800 have been done by non-Italians: first by Dutch; then by French, Scandinavians and Russians, then Americans. Follow the link to see each view, and compare to Street Views today.